Lennie James is chatting about Walking Dead on Fear the Walking Dead. Fear the Walking Dead resumes its fourth season this weekend and AMC has uploaded the exciting first four minutes. The clip starts with a segment you don’t need to be a Fear fan to enjoy. It’s a minute of zombies in what looks like a hurricane being flung this way and that. It’s quite lovely. 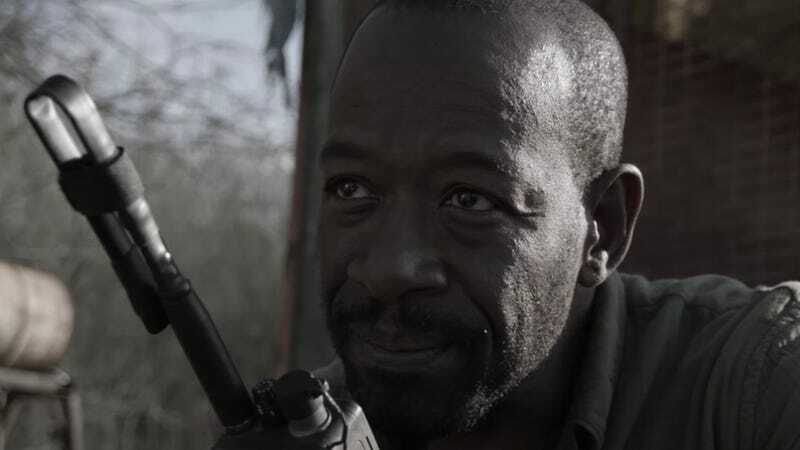 That’s followed by a meatier segment featuring former Walking Dead star Morgan (played by Lennie James) in his new role on Fear the Walking Dead. There’s just something cool seeing characters on Fear talking about events in the main show, like Morgan and Althea (played by Lost’s Maggie Grace) do here. I’d imagine that’s something we’ll see happening more in the future, especially since Fear has already been renewed for season five. Fear the Walking Dead returns Sunday on AMC.